Over the bank holiday – well, specifically on Monday once it had finally stopped pouring with rain of Biblical proportions here in Essex! – we ventured out into the back garden to pick some of our fruit and veg. Doug brought in a big bowl of raspberries, we picked a huge bowl of blackberries and we are drowning in green and yellow courgettes from two bushes. 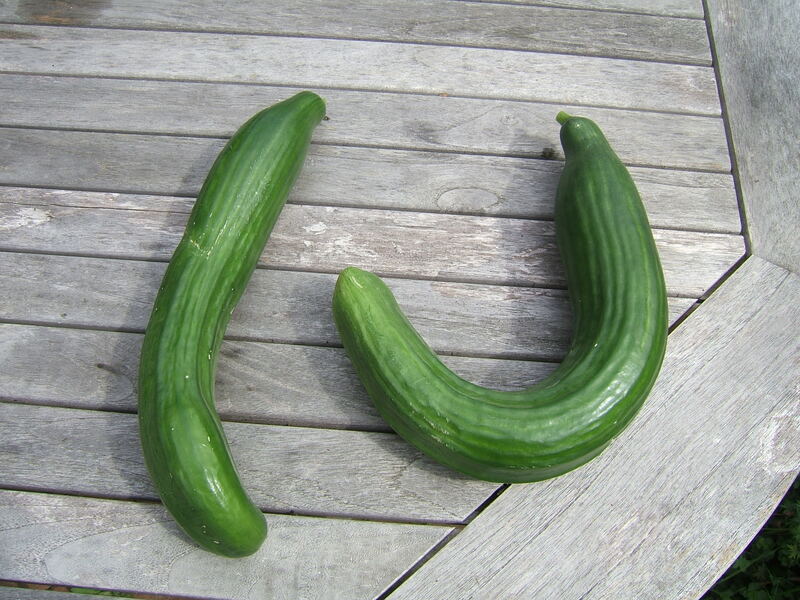 We also had to palm off two enormous cucumbers from the green house on our unsuspecting neighbours which, because of their ‘non-EU regulation’ shape, shall we call it, produced a few titters. Some delicious Hungarian wax chillis and bell peppers were picked and ended up in a lovely beef goulash which I made last night, courtesy of this James Martin’s recipe. But I just had to stop and show you the incredible sight that greeted us when Doug decided to delve into the carrot and parsnip bed. Now, Doug has been growing vegetables for something like five years now, and myself for a couple, but I have never in my life seen anything like it. I asked him what he’s been feeding them but he claims it’s nothing special. Maybe he’s been going out in the dead of night and feeding them beer dregs or something…I swear it’s not GM anyway! This entry was posted in Essex, Food from the garden, Green living, Uncategorized and tagged Growing fruit and veg, Growing your own, growing your own veg, Monster veg. Bookmark the permalink. 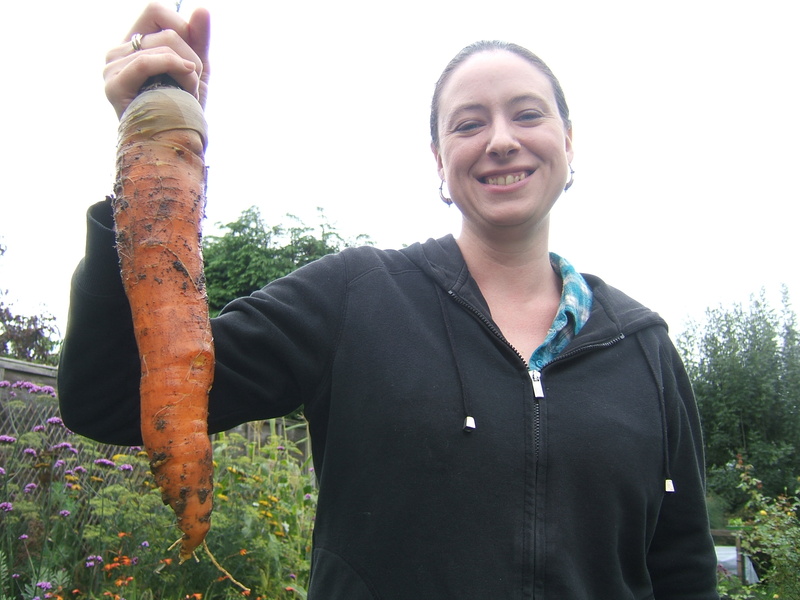 I think I would make even worse titters faced with that carrot myself – you could make enough carrot and coriander soup for a party with that one. We took another pic of me pretending to look like psycho with it. Maybe I should post that up too!